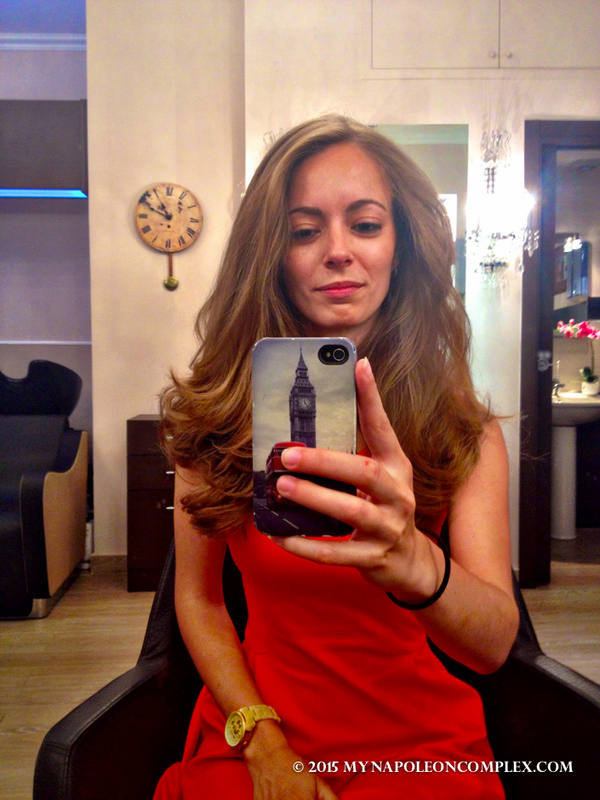 Rome favorites: Hair Makeovers at Noi Salon! 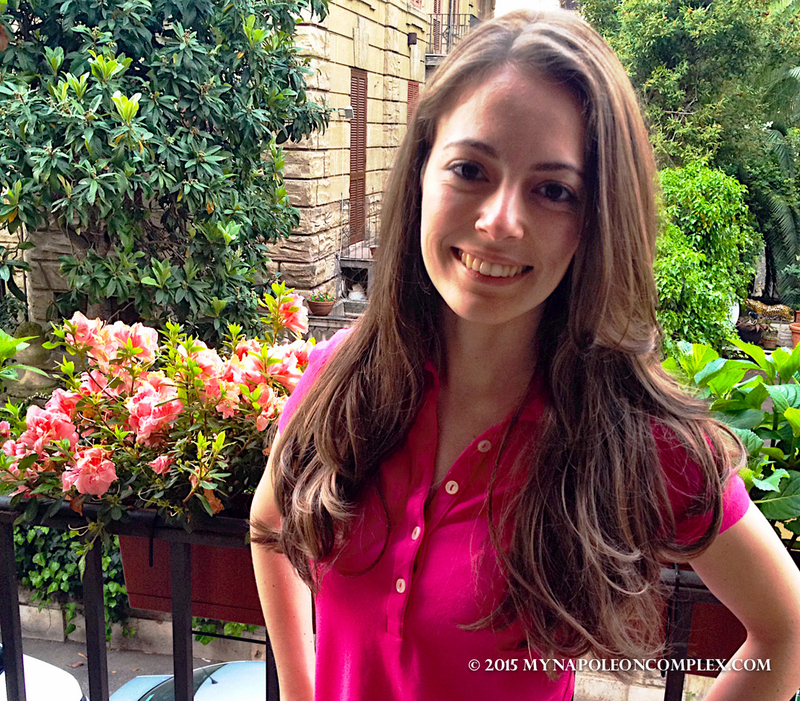 Today I’m going to interrupt my usual ramblings about all our travels in Italy to talk about something that is actually really important to women traveling or living in Rome: hair styling. More specifically, where to get your hair done in Rome. Before I ever set foot in Italy, one of the things I looked for online was a good hair salon. I wanted to already have a place in mind when I got there because there was no way that I could hold out until my next trip to Miami to get my hair done (like I’d been known to do in Ohio). Now I know what you’re thinking: “You’re in Italy! A country of high fashion and gorgeous women parading in Prada shoes to take their garbage out! There has to be a hair salon in every corner!” And you’d be right, to an extent. There is a hair salon in every corner, three within 200 feet of my house. But, you see, I was not about to be adventurous and walk into the nearest salon and try to Google Translate my way through terminology like “layers” and “bangs” and “lowlights”. No way. I know most women care about their hair and definitely don’t want to have to endure a bad haircut (or God forbid, a bad dye job) but I sometimes take it to an extreme level. Like Jaime says, my hair is my most treasured possession. I’ve never been one of these people that can buy hair dye in CVS and DIY, or someone who can just cut their own hair in front of the bathroom mirror. This is where Noi Salon comes in. 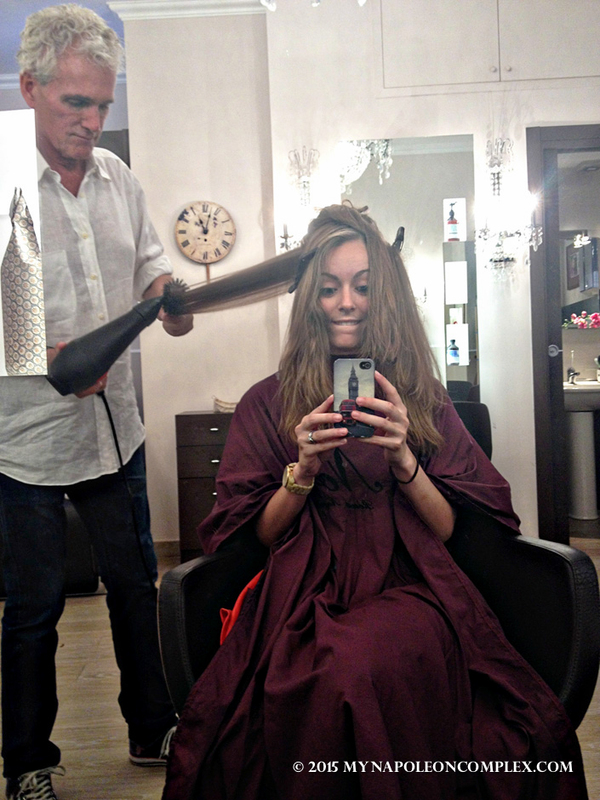 If you Google hair salons in Rome, you’re bound to run into Noi at some point, like I did. They are on Yelp, TripAdvisor, Facebook and even mentioned in other expat blogs. I was sold when I saw their fancy website boasting English-speaking hair stylists. Even still, it took awhile for me to work up the courage to make an appointment and put the future of my hair in the hands of another hair stylist. Today, I am so glad I did. The first time I set up an appointment last year (which you can do by phone or by email through their website), I was set up with Rick Breco, one of the owners and hair stylist who not only speaks English, but is from L.A. I honestly had not had that much fun cutting my hair in a long time, if ever. Rick is funny, attentive, professional, and, most importantly, very good at what he does. When you’re sitting in that chair, he’s not only making you look good, but he’s engaging you in conversation the whole time and ultimately, you feel like he’s been your friend for years! That time I only got a cut and style, which I was in desperate need of, and I loved the results. Yesterday, I went back and got some lowlights in addition to my cut and style. Now, I’ve never dyed my hair before so even though this was an idea that I had been toying around with for awhile, I was still very hesitant to finally make the leap. My fears were completely unfounded because I couldn’t have been in better hands for my first dye job. Rick spent nearly two hours just doing the lowlights with a thoroughness and precision that impressed the hell out of me. I’m so impressed that I knew I couldn’t put off writing about this gem any longer. Wish I could’ve taken a picture in the salon before my 4 km walk home, but I still love it! Noi Salon is located right in Piazza del Popolo (they also have a salon in Naples, however) behind a massive door, so you cannot immediately see it from the piazza, you have to buzz the ringer to be let in. Everyone speaks perfect English and while a lot of the clientele are English-speakers as well, they also have their fair share of Italians getting their glam on as well. Prices are also more than fair considering their location and level of professionalism. So if you’re an expat in Rome with no idea where to get your hair done, or you’re just a traveler passing through in need of a makeover, I definitely recommend putting yourselves in the hands of the guys at Noi! Disclaimer: I received no compensation for this post, I am simply that happy with my results. All my opinions are my own. Yay!!! I love getting recommendations for hair stylists when I move and am so so glad for this one!!! Hi Amanda, Glad I could help and thanks for reading!